A good sirloin steak is a high priority meal in this house. 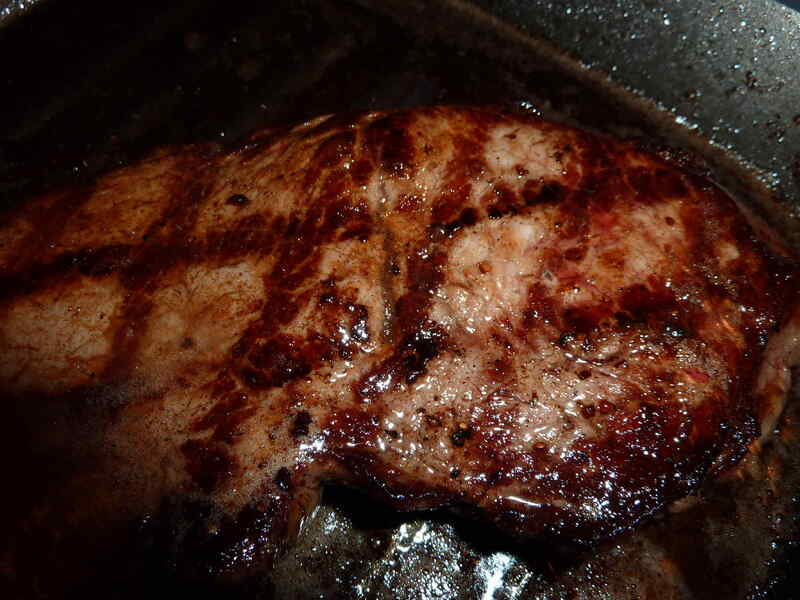 Since it is a much more affordable cut than many others you can enjoy this delicious steak as frequently as you like. My grandmother always cooked us a nice steak on a frying pan with lots of butter which is a great tenderizer. I served this with a simple baked potato with butter and parsley, sauteed mushrooms and blanched asparagus. 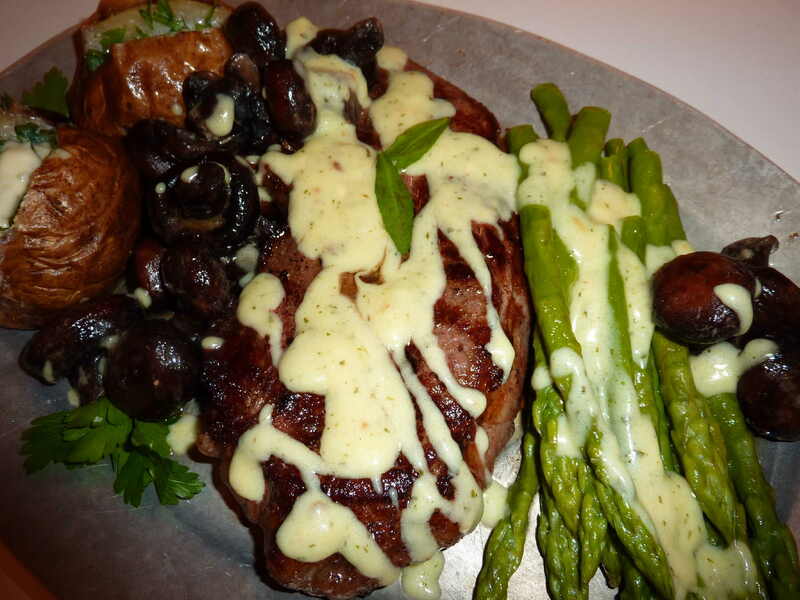 A simple blender bernaise sauce is quick and goes well with all the vegetables as well. The sirloin is a great buy and this week it was even better, Buy 1, Get 1 Free. Yes, I was at the store immediately.